This paper gives an overview of some important annual and perennial crops for the provision of lignocellulosic biomass. It describes their cultivation practices as well as their requirements concerning site characteristics and typical logistic chains. 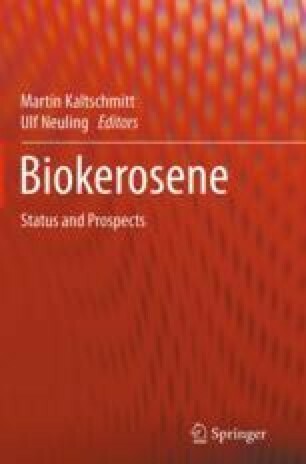 Information on physical and chemical properties of these different lignocellulosic biomass plants determining their capability for biokerosene production is presented. Additionally, data on the potential yields and the areas currently under cultivation are given for each of the described crops. Roloff A (2016) Baum des Jahrtausends – Ginkgo Biloba. Stiftung Baum des JahresMarktredwitz. http://baum-des-jahres.de/index.php?id=6 accesed on: 20.07.2016.